Attention all NYC gente! We have information on an event that you aren’t going to want to miss! SOB’s presents the Summer Splash Concert Series, a season-long row of spectacular concerts and dance parties on the deck of a 4-level luxury infinity yacht. 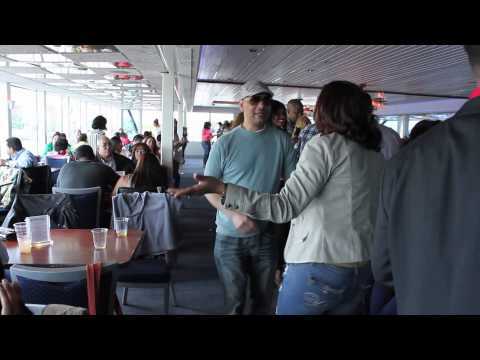 Great musica…on a boat..at sunset! The Summer Splash series kicked off June 7th and has a few remaining dates left this season: Allen Stone July 30th and Los Amigos Invisibles on August 8th…which we are especially excited about! Los Amigos Invisibles with be joined with special guests Xenia Rubinos for a noche of of Latin rhythms, disco, funk, and jazz. Are you interested in joining the Summer Splash concert series? Visit their website and purchase the tickets in advance!